McKim, Mead & White is the best-known architecture firm of America's Gilded Age, and designed many of the most iconic buildings including the Boston Public Library, Washington Square Arch, and the campuses of Columbia and New York Universities. The firm built opulent residences and private clubs for the nation's wealthiest and most powerful, buildings that are now well-loved cultural institutions. 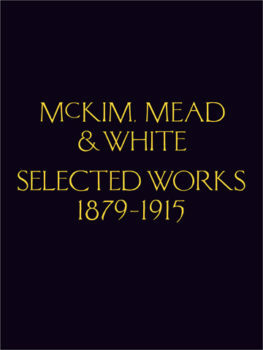 McKim, Mead & White: Selected Works 1879-1915 collects the work of these influential architects and their successors. Compiling the original four volumes into one, this magnificent edition is supplemented with an introduction from Richard Guy Wilson and an essay by Leland Roth. 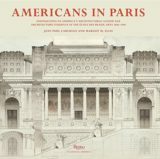 Published in association with the Princeton Architectural Press.